Weddings have been the cause of friction among families the world over and it seems not even the so-called 'royal sisterhood' was able to navigate the ups and downs that go along with planning a big day, with Kate reportedly being 'left in tears' after a bridesmaid dress fitting for her daughter Princess Charlotte. Reports from Telegraph claim that it spoke to two separate sources claiming that the Duchess of Cambridge was brought to tears after the pre-wedding appointment, however the cause is fairly vague. “Kate had only just given birth to Prince Louis and was feeling quite emotional,” one insider said, according to the publication, not shedding too much light on what actually occurred. Nevertheless, if you've ever planned a wedding you're probably acutely aware that with it often comes drama, whether it's via the guest list, choice of bridal party, or - if you're a soon-to-be member of the royal family - which of the Queen's tiaras you're allowed to borrow. This new insight into an apparent move away for Meghan and Harry from their fab four counterparts comes weeks after the Duchess of Sussex has apparently been called 'demanding' by royal staff and urged to forgo her so-called 'Hollywood ways' in favour of royal etiquette. Earlier this month reports swirled about a book that claimed that it wasn't just Kate and the bride who developed a bit of bad blood on the run up to the big day - the queen also had to have 'words' with Harry over his bride's wedding outfit. 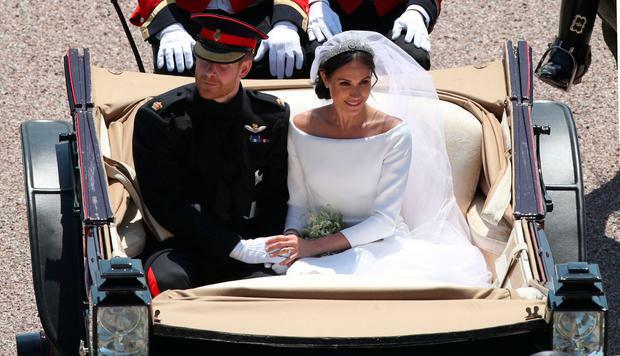 The queen was also said to have been 'surprised' Meghan chose to wear white, seemingly due to the fact that she had been married previously. Related: Timeline: When did public favour turn so dramatically against Meghan Markle?